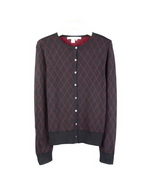 Women's 100% Silk Cardigan Jewel Neck Long Sleeve in 14 Gauge Fine Jacquard Argyle Pattern. 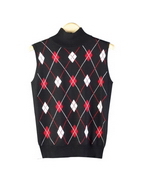 Women's 100% silk knit sleeveless shell in mock neck style. 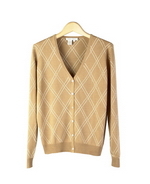 A fine jacquard argyle pattern shell. 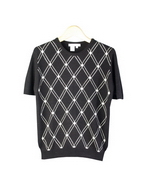 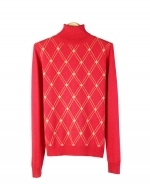 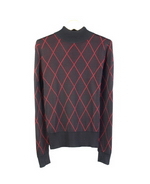 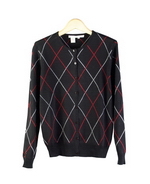 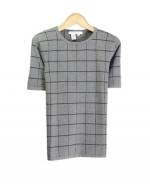 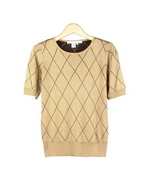 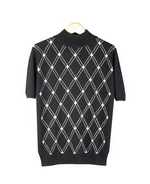 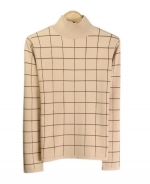 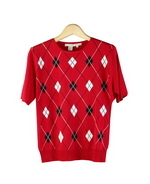 Women's Silk Cashmere Sweater Mock Neck Short Sleeve w/ Jacquard Diamond Argyle Pattern. 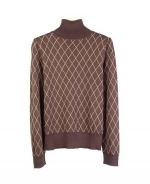 Silk cotton, cashmere & 100% silk sweaters, cardigans, sweater-jackets, sleeveless shells in jewel neck, v-neck, mock neck styles in argyle & diamond patterns. 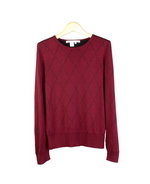 Sweaters offered in sizes S(6) - Plus Size 1X(16W-18W).